The following page describes how to setup c9 to work with zero. 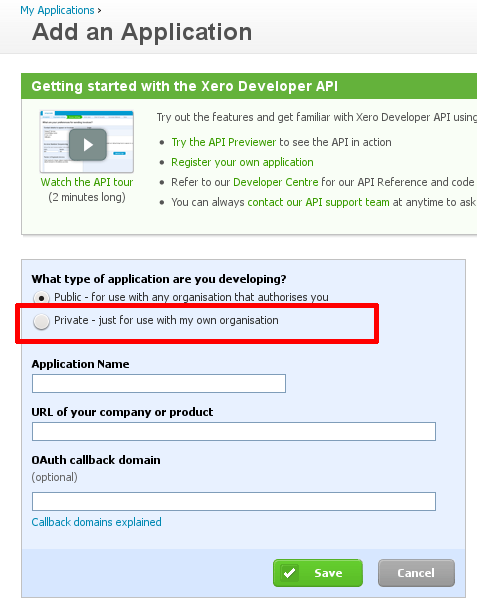 Click on the blue link above and goto/login to your Xero account. Select the option 'Private Application' below. Now, fill in the application with the following details as shown below. On clicking save you will be taken to one of two screens. Both have the same details on them. You need to copy data from these screens back into c9. 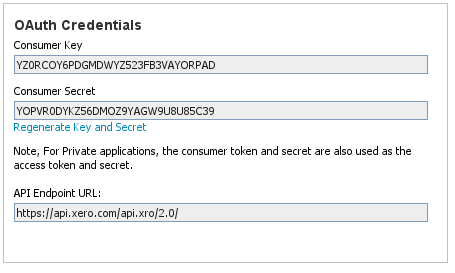 Upon clicking connect, C9 should successfully connect to Xero and show you the organisation name in xero. It will also setup a freight chart of account for receiving supplier freight. 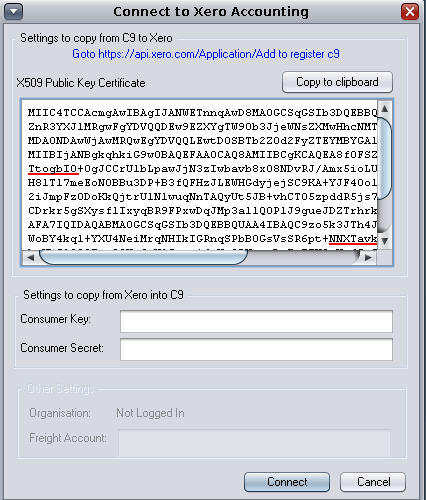 Upon continuing you will now need to map suppliers in c9 to xero. Process should be self explanatory. 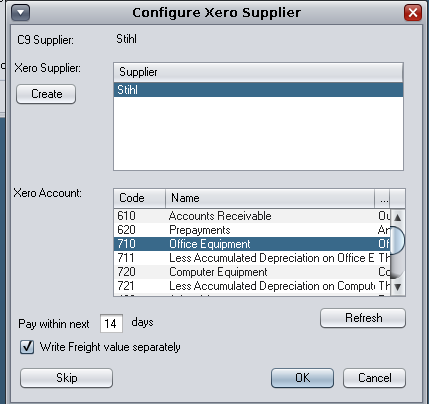 System shows you supplier in c9 and in xero. From c9 you can also add new suppliers into xero if you need to.